A slight tan to the page edges. Minor Shelfwear. Good condition is defined as: a copy that has been read but remains in clean condition. All of the pages are intact and the cover is intact and the spine may show signs of wear. The book may have minor markings which are not specifically mentioned. Most items will be dispatched the same or the next working day. Very Good. 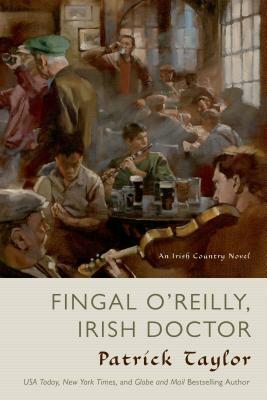 Fingal O'Reilly, Irish Doctor (Irish Country Books) by TAYLOR, PATRICK, 2014-10-07. Trade paperback (US). Glued binding. 446 p. Irish Country Books, 8. This item is fairly worn, but continues to work perfectly. Signs of wear can include aesthetic issues such as scratches, dents, worn corners, bends, tears, small stains, and partial water damage. All pages and the cover are intact, but the dust cover may be missing, if applicable. Pages may include excessive notes and highlighting, but the text is not obscured or unreadable. Satisfaction Guaranteed. Very Good. Fingal O'Reilly, Irish Doctor (Irish Country Books) by Taylor, Patrick, 2013-10-15. Sewn binding. Cloth over boards. With dust jacket. 431 p. Contains: Illustrations, black & white, Maps. Irish Country Books, 8. Fair. The cover of this paperback book has curled corners. This paperback book shows normal wear and tear. The edges of the pages have markings, spots, or stains. Shipped to you from Goodwill of the Valleys, Roanoke VA. Thank you for your support!